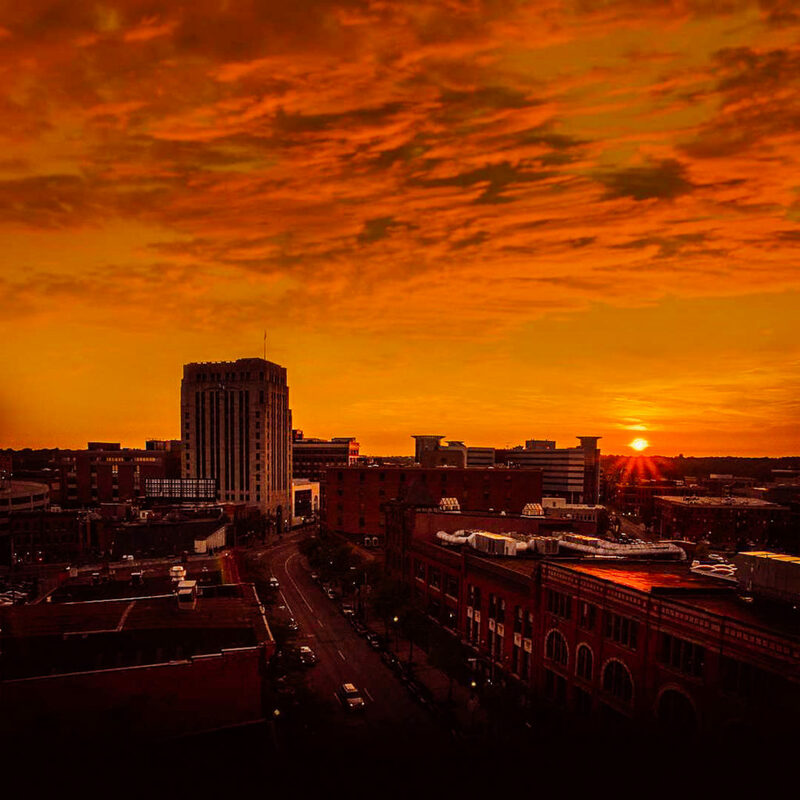 Downtown Kalamazoo is filled with history, art, delicious food and some of the best darn beer in the country! Whether you’re looking for a low-key getaway, or a weekend that’s jam-packed with activities and vibrant fun, use this list for inspiration. Lucky for beer lovers, Downtown Kalamazoo is home to the iconic Bell’s Brewery! Check out our brewery map for directions and more info on the six walkable downtown breweries, as well as the seven other breweries in Kalamazoo County. Kalamazoo’s museums and area attractions embrace nature, history, education and art to ignite your imagination. Add the Kalamazoo Institute of Arts, the Kalamazoo Valley Museum and Heritage Guitar Inc. to your list of downtown attractions. The historic Kalamazoo Mall, the first outdoor pedestrian mall in the United States, features revitalized Art Deco buildings and specialty shops. Bronson Park has been the social and political heart of Kalamazoo for nearly two centuries. The park is loved and well-used — a place often referred to as Kalamazoo’s ‘front porch’. From live music and art fairs, to food truck rally’s and New Year’s celebrations; no matter the season, there is always something going on in the park! To get a real sense of the flavor of Kalamazoo, you need to sample our food! The number of diverse cuisine just in the downtown radius is pretty impressive. You’ll find everything from German and tapas, to BBQ and sushi. Treat yourself to a steak dinner or indulge in a vegan farm-to-table brunch. The options are endless! If caffeine is your vice, you’re in luck! Downtown Kalamazoo offers more than 7 specialty coffee shops, with two more locally owned cafes (CIVIL House Coffee Co. and Factory Coffee) expected to open in the next few months. If you’re an artist or a fan of performing arts, you’ll find plenty of action here. Check out Downtown Kalamazoo’s performance theaters. Head down to snap a selfie with one of the many public murals, visit the galleries and experience our dynamic monthly Art Hop, featuring local artists showcasing their talent around the city! Feeling creative? Attend a workshop at the Kalamazoo Book Arts Center or Glass Art Kalamazoo. Live music is abundant downtown! From your favorite dive bars and backyard brewery jams, to concerts in the park and symphony orchestras, there’s no shortage of live music entertainment for you to enjoy. A rapidly growing spirit scene is making a name for itself downtown. If you enjoy a deliciously crafted cocktail, make sure to check out Principle Food & Drink on the Kalamazoo Mall, or pay a visit to Green Door Distilling. Keep The Kalamazoo Stillhouse on your radar as well. Their tasting room is opening in the near future! Want to learn more about Kalamazoo? Grab a FREE copy of our visitors guide! We’ll ship it to your mailbox (the physical one) in no time at all.